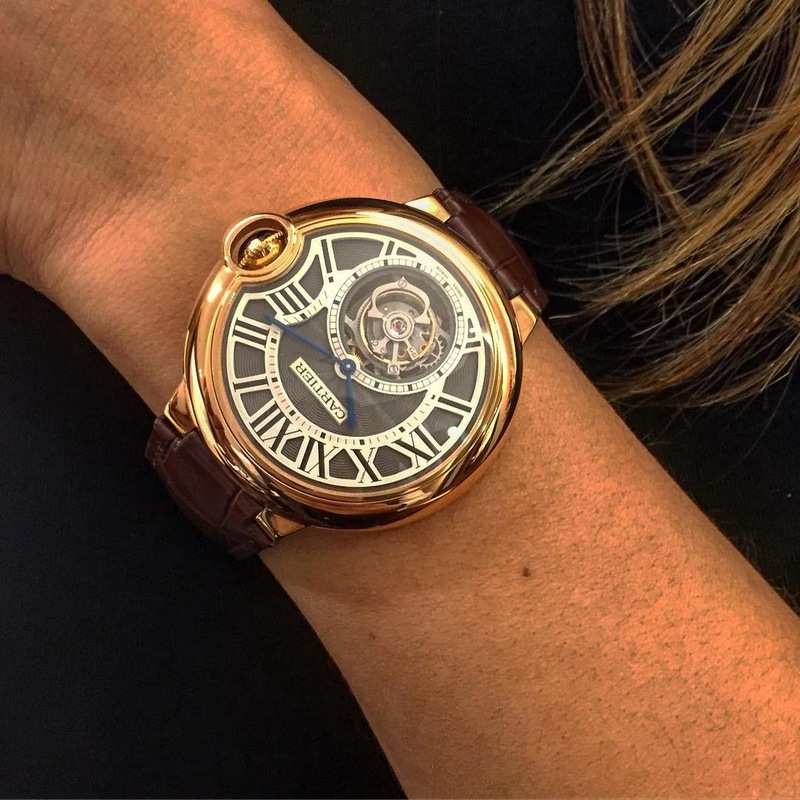 Cartier - Is there anything more appealing than a tourbillon on a lady's wrist? Is there anything more appealing than a tourbillon on a lady's wrist? When it comes to watches, I don't find the answer! I love the Ballon Bleu Tourbillon with the 39mm diameter. Cartier took the right decision to release this version which is well balanced. I don`t know why women wear mens watches . My wife only wears men’s watches. And I know plenty of women who wear men’s watches better than men do. My wife’s taste? Because that’s a personal insult I wouldn’t think twice for punching someone in the face. ..and funny part is exactly what? Too big for her wrist . Seems like a Gents watch.